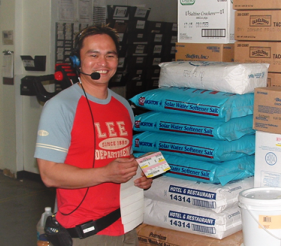 Food Distribution – BFC Associates, Inc. The base Dakota Series was designed for food distribution from the start. The system is designed to allow you to use any combination of Voice and Scanning throughout the system. FLEXIBILITY AND FUNCTIONALITY ARE THE KEY. The Dakota Series is a food specific warehouse management system. We believe a food specific system is critical because of the unique characteristics of the industry. We are different from systems developed for automotive or retail operations where typically higher margins and lower turns create an entirely different environment. The Dakota Series' primary focus is on your business needs and the need to satisfy your customers. The Dakota Series utilizes tables and slot definitions to provide greater flexibility for our clients. With user-defined options, the Dakota Series will grow as you grow and continue to meet changing market conditions.